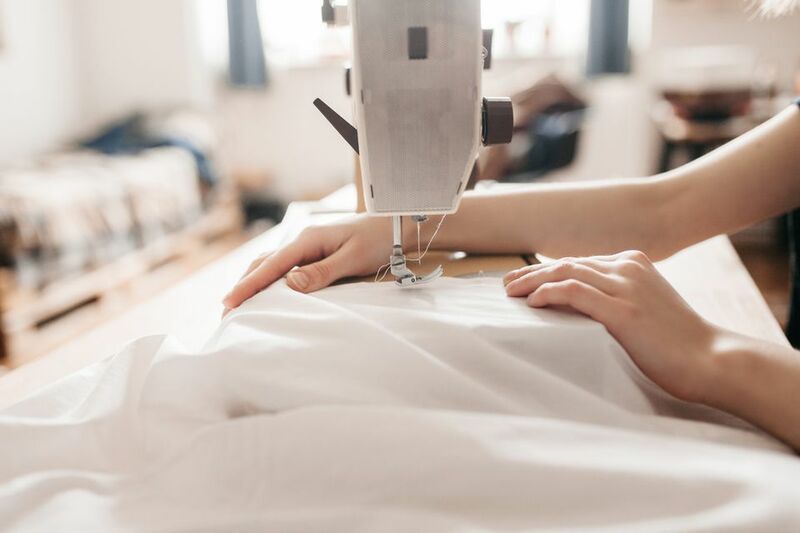 A sewing machine depends on the smallest, most replaceable part to form perfect stitches. The needle! The needle, in turn, depends on all the other parts of the sewing machine to be able to create those perfect stitches. What you may not realize that YOU, the machine operator, have to allow the parts of the sewing machine to do their job. Most of us do not realize we are forcing the fabric through the machine and creating our own problems in the process. One of the most common culprits is that the machine operator didn't allow the feed dog to move the fabric. By forcing the fabric through the area under the presser foot, or pulling the fabric under the presser foot from behind the needle, rather than allowing the feed dog to feed the fabric under the needle, the machine operator is inadvertently bending the sewing machine needle. The slightest bend to the machine needle, even a not visible bend may cause damage to the machine. By the time you hear something hitting you know to stop sewing. Before you hear the hitting sound the needle may be nicking other parts of the machine which could in turn snag thread and lead to constant problems. The feed dog must be allowed to feed the fabric! Tugging or forcing the fabric under the needle will cause the needle to bend. The slightest bend will cause the machine to malfunction and can lead to damage to the machine. As you sew with a sewing machine the feed dog will pull the fabric under the presser foot. The machine operator should only guide the fabric, allowing the machine to do the work. If both layers of fabric do not feed evenly, there are solutions rather than forcing the fabric.